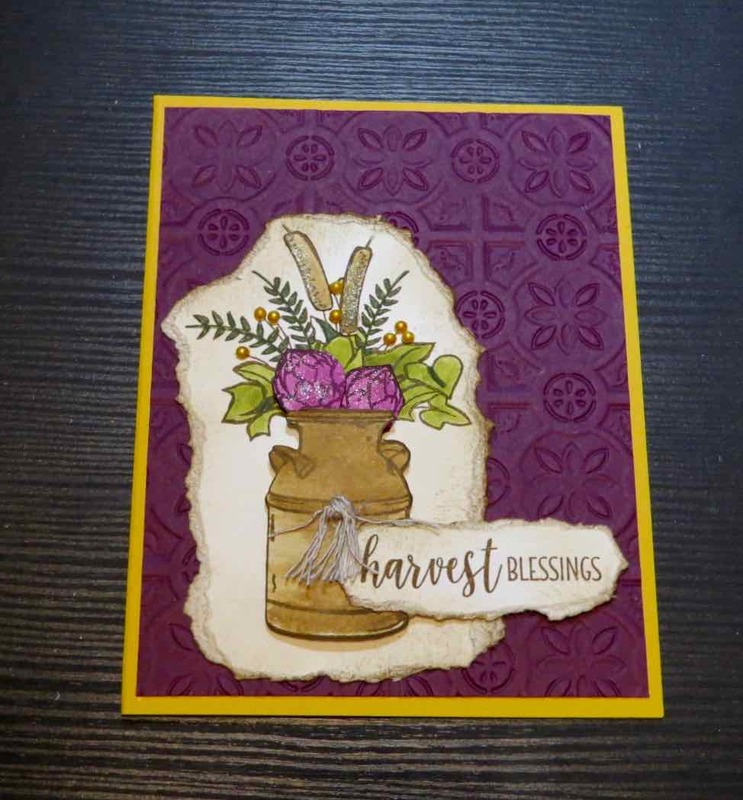 Karina's Kreations: Stampin'Up Country Home stamp set! Stampin'Up Country Home stamp set! The Stampin'Up Country Home stamp set is perfect for all types of Fall cards. This card is a swap I received from Brenda Montesano. I love how she added extra interest to her card by tearing the edges of the cardstock and sponging it with Soft Suede ink. TIP: Did you know that Stampin'Up card stock has two layers pressed together? That's why you can tear our card stock and get this great result. 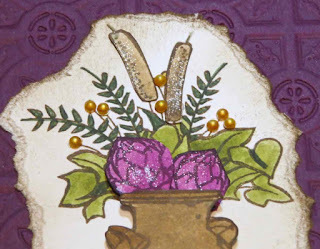 Brenda also used two Stampin'Up dimensionals under her jug and flower to add extra height to her card. To order supplies for your card, please click on a picture below.